Hi Everyone! It's Jenny here, and I'm joining you today with a card I created using using the Home for the Holidays Stamp of Approval Collection. 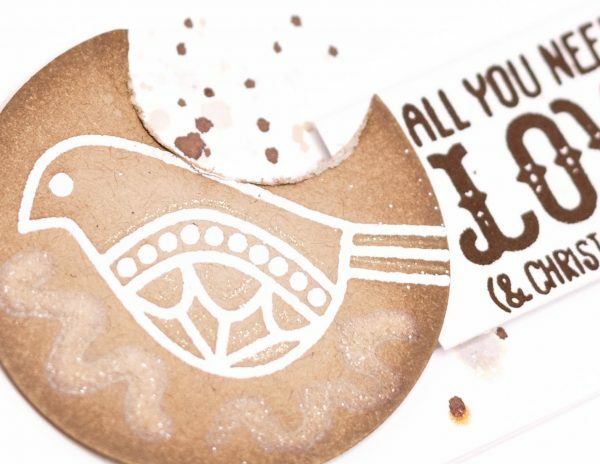 This is such a fabulous collection, and perfect for adding to your Christmas card stash. 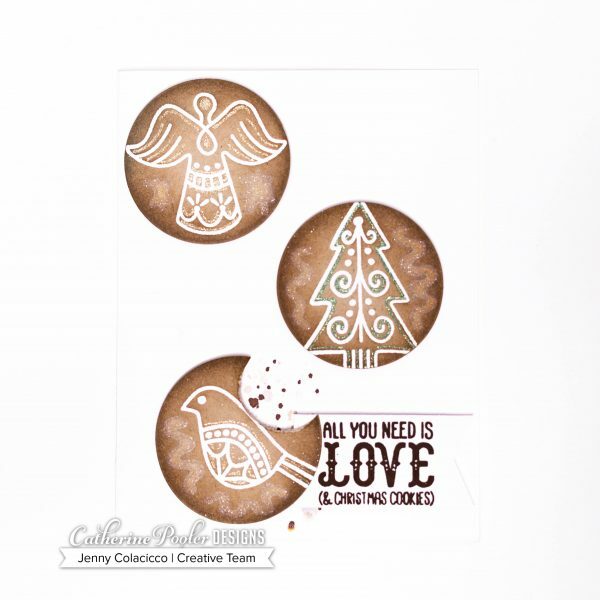 My favorite from the Collection is the wonderful Sugar Cookies stamp set and dies. I'm sure you've seen Catherine and the Creative Team using these in lots of different ways – I have little fun twist on this card to show you. 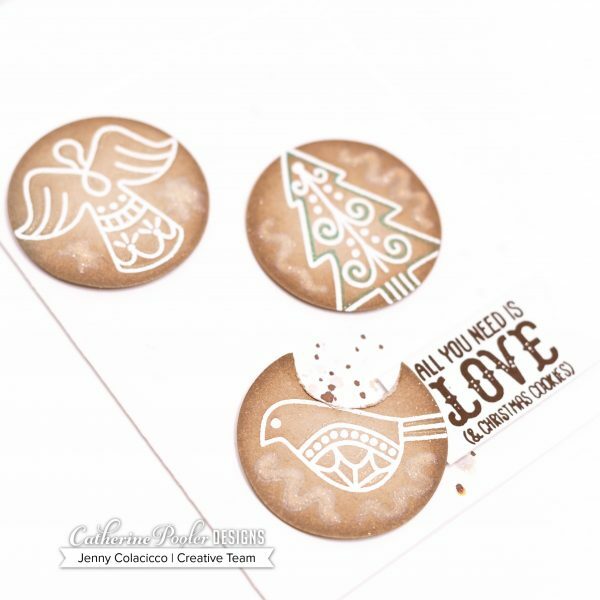 I used the circle dies from the set and die cut three circles from CPD Sand Dunes cardstock. I'm going for standard circle cookies here, rather than the shaped cookies. I then stamped the bird, tree and angel from the set in Versamark ink and heat embossed in WOW! Bright White embossing powder. To add dimension, I used a mini ink blending tool, and gently blended Over Coffee ink around the edges, fading in towards the embossed image. I also edged the ‘cookies' with Icing on the Cake ink. On one of the cookies, I used a smaller circle die and die cut out a ‘bite' from the edge. I re-inked around this bite area, and distressed the edge a little. To decorate each of the cookies I used Sakura Stardust Gelly Roll gel pens, outlining some of the images with the pens. I also added Stickles in Sugar because I had to – Sugar Cookies!! For the sentiment, I stamped it in Icing on the Cake ink onto a strip of Premium White cardstock, and trimmed it out into a flag banner. Before adhering the cookies, I mixed some of the Icing on the Cake ink with a little water, and flicked it onto a white A2 size panel of Premium White cardstock with a water brush in roughly the area where I wanted it. I then adhered the cookies and the sentiment with foam tape, lining up the bitten cookie so that the spatters looked like crumbs. I also added a little more Sugar Stickles around the crumbs. 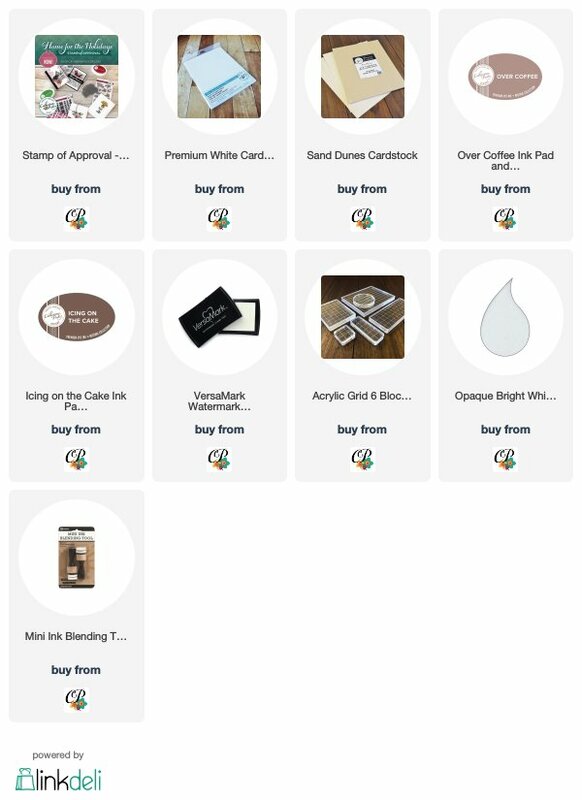 I do love to have a play with products to add a little fun into a card if I can – I hope you're all having fun with your Home for the Holidays collections!